In the world of dazzling and lavish overnight accommodations, Nevada reigns supreme. Especially when it comes to treating yourself to a little TLC. Whether you’re visiting one of the ritzier tourist areas or plan to take in the gorgeous Sierra Nevada mountains, make sure to take time to pamper yourself at one of the following 10 best spa hotels in the state. The Palms Casino Resort in Las Vegas, Nevada is known as one of the best resorts in Las Vegas. The casino boasts over 95,000-square-feet of slots and table gaming. Spa options include the Drift Spa and Hammam, recharge spa, body heat tanning, yoga, and much more. The Thunderbird Resort Club in Sparks, Nevada offers one and two-bedroom, centrally located condominiums. The resort features a health club, pool, jacuzzi, and spa, with massages, facials, and nail care available onsite. The Atlantis Casino Resort Spa in Reno, Nevada is a AAA Four Diamond hotel with numerous accolades for their “luxurious accommodations, exciting casino action, fine dining and award-winning spa,” according to their website. The on-sight spa features seasonal packages. The Spa Reno’s only Forbes Four-Star Luxury Spa, Atlantis invites you to enjoy their 30,000-square feet of relaxation space. The M Resort Spa and Casino is Henderson, Nevada’s go-to spot for play and relaxation. Enjoy 92,000-square-feet of gaming with slot and video poker machines as well as table games and a VIP lounge. Stay on-site and take advantage of their wonderful Spa Mio, a Forbes Four-Star Spa and salon with 16 treatments rooms, steam and hot tub, and more. The Hyatt Regency Lake Tahoe Resort and Casino in Incline, Village, Nevada sits on the Lake Tahoe waterfront among the Sierra Mountain Range. The on-site Stillwater Spa and Salon is undergoing a short renovation at the time of writing, but the enhancements to the mud rooms, steam and sauna rooms, and locker rooms will make the short wait well worth it. Harrah’s Lake Tahoe Resort and Casino is home to a food and wine festival, World Championship of Poker Circuit Event, and world-class amenities. The Spa at Harrah’s Lake Tahoe “integrates the finest health and beauty treatments from around the globe,” according to their website. Services include massages, facials, and body treatments. The Aliante Casino, Hotel, and Spa in North Las Vegas is a multi-award-winning AAA Four Diamond resort. The spa takes up 3,5000-square-feet and offers massage therapy, full body therapy, facials, nails, and much more. David Walley’s Hot Springs Resort, just south of Lake Tahoe, is a spa condominium resort situated at the base of the Sierra Nevada Mountains. Resort highlights include five natural hot springs, two outdoor swimming pools, restaurants, kid’s playground, and the David Walley Spa. Check their website for updated specials. Truly, any number of incredible spa hotels from Las Vegas could be on this list, but Encore is one more that stands out. Encore offers “sophisticated design and an exceptional level of service,” both of which helped land it on the Conde Nest Traveler Magazine’s Annual Readers’ Choice Awards. The spa is gorgeous, featuring garden villas, couples’ rooms, and designer treatment rooms opulently decorated to make you feel even more like a king or queen. The Peppermill Resort Spa is another excellent spa hotel option in the Reno area. 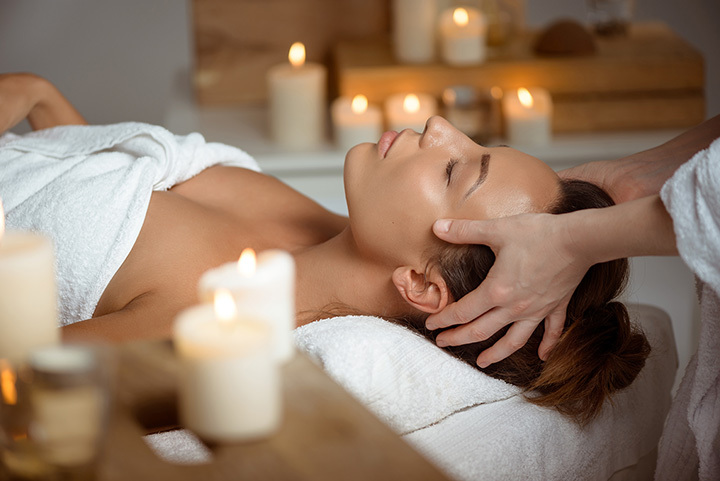 Spa Toscana covers 33,000-square-feet and offers massages, body wraps, exfoliating scrubs, waxing treatments, mother-to-be options, and much more.